So I came really late to the party on this one! 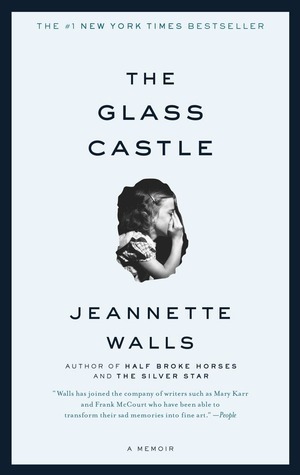 I have finally read Jeannette Walls' amazing memoir THE GLASS CASTLE. I had the opportunity to see her speak and so, naturally, I wanted to read something by her before hand. Since her memoir is her most well known work, and the first thing she wrote, I decide that this was a good place to start. If you haven't read this amazing amazing story yet then you really need to. I read it pretty much in one sitting. It is hilarious, tragic, and moving; you need to keep reminding yourself that this isn't a work of fiction, this is REAL. An incredible story (one that makes your family look normal in comparison), this is probably one of, if not the, best memoir I've ever read.